By using cutting-edge science to understand Earth's systems and keep its habitats and vital natural resources healthy and resilient, the NOAA puts the full strength of the United States government into its mission of monitoring and protecting our planet. According to the NOAA website, observations are essential. The NOAA monitors the earth from high in the skies to the depths of the seas to keep people and wildlife safe, properties protected, communities thriving, and businesses strong. 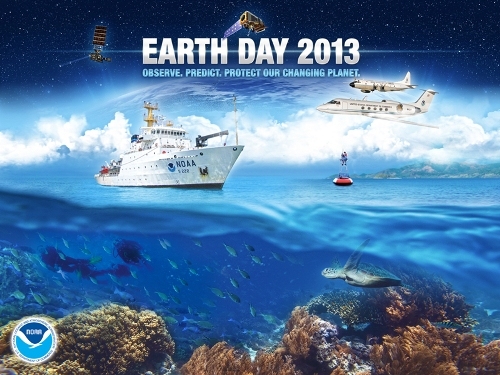 The NOAA has listed over 100 events scheduled for today and over the next week in celebration of Earth Day. Many of them allow you to get involved, volunteer, or have fun in a way that contributes to the conservation of our waterways.